Makeup is such a popping thing now. Everybody is a budding MUA or already working in the industry & YouTube and Instagram make up artists have literally taken over the planet!! 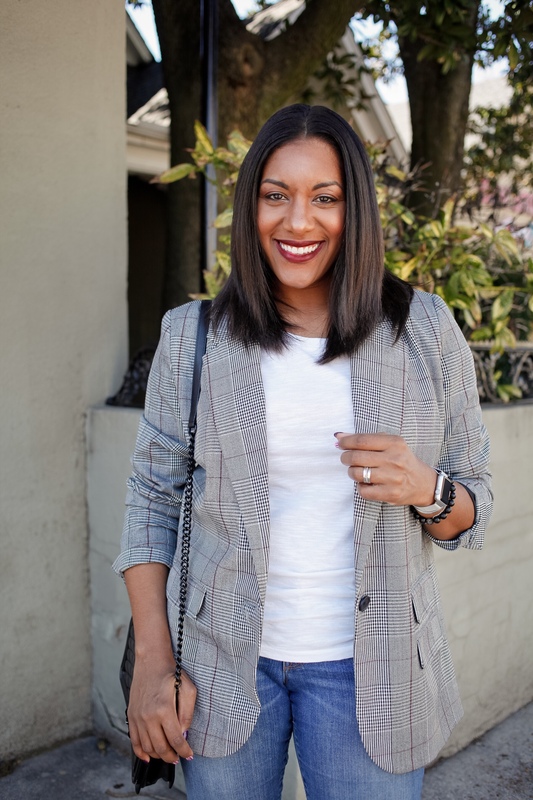 Confession: I only started wearing anything more than lip gloss about 3-4 years ago, so I consider myself a newbie on the makeup scene. I shied away from makeup for a loooooong time because I never wanted to look like I had a ton of makeup on. I still don’t. Thankfully, I’ve taken a few classes with my girl, Makeup by Zii, and she’s taught me how to achieve a natural look with makeup. I truly believe great makeup starts with great skin. 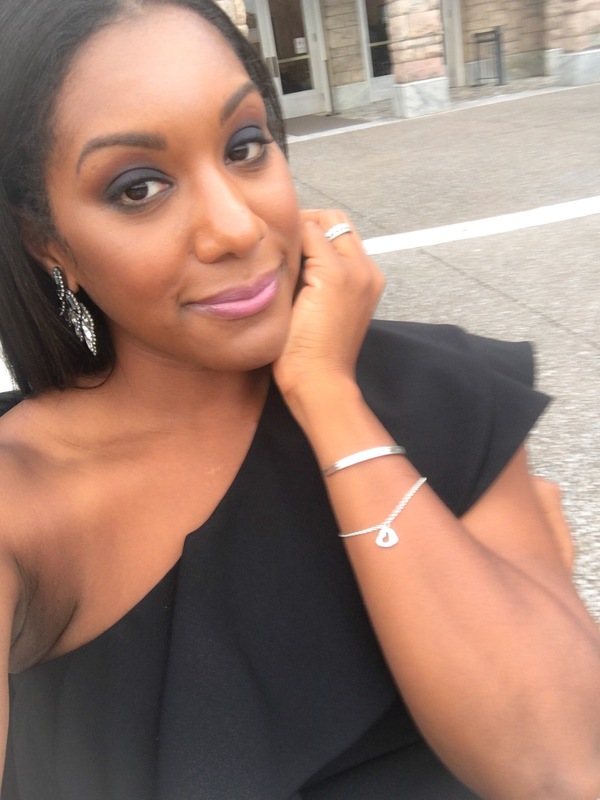 I posted about my skincare regimen HERE, and although I’m not a beauty blogger, I wanted to share my makeup must-haves (I get questions all of the time.) I can usually complete my everyday regimen in about 10-12 mins. Yep! It doesn’t take forever, which means you have time to do this, too, right!? I don’t wear foundation. 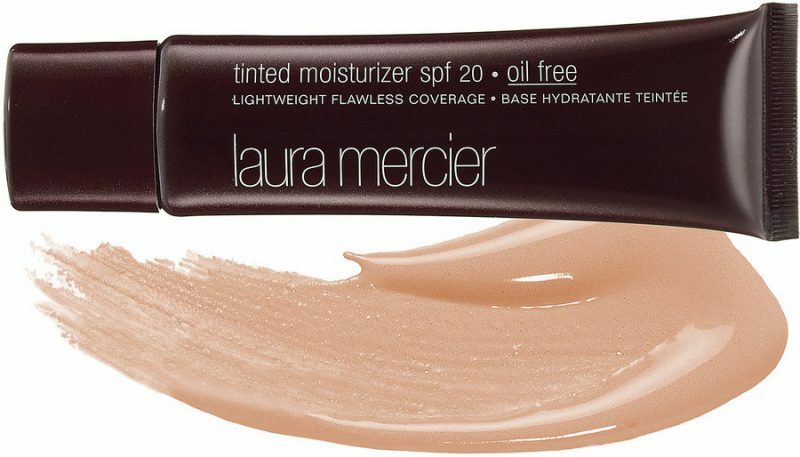 Just this amazing tinted moisturizer. I love that the coverage isn’t heavy, but it does a great job at balancing out my skin tone and hiding a few of my flaws & freckles (thanks mom!) I saw it in an InStyle magazine a few years ago and we’ve been going steady since. NARS radiant creamy concealer is my go to. The formula is super creamy and easy to blend. Great for beginners like me. My color: Amande. On special occasions, I also use a highlighting concealer – L.A. Girl Pro Conceal. Got that one from the YouTube girls. It works pretty well. My color: Warm Honey. You can get it at any beauty supply store. I say, the key to a good brow is a good brow, so be careful not to over-wax/tweeze/thread. Even on fresh-faced, no makeup days, I’ve got to have my brows. 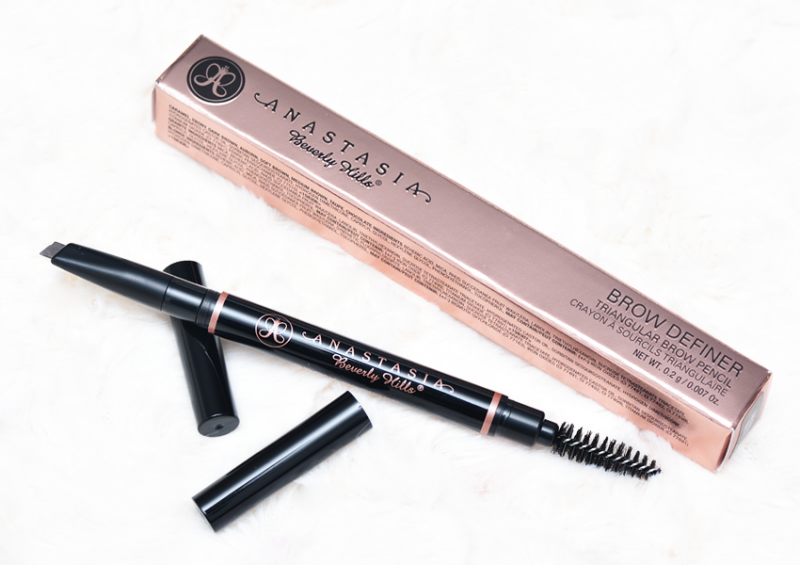 I love Anastasia Beverly Hills Brow definer + clear brow gel. I’ve tried the ABH dipbrow and other products, but this angled brow definer tip is perfect for me to create the best natural brow shape. Key word = natural. MAC Peachy Keen & Ambering Rose are my favorites. Just a swipe to add a little color to my cheeks. 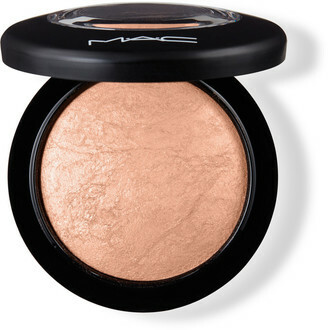 MAC Mineralize Skin Finish in Global Glow is my absolute favorite for highlighting, but I’ve also found some love for the very budget-friendly NYX Strobe of Genius Illuminating Palette. They both give me just the right touch of shimmer without that blinding effect. Super simple and I don’t even use the ever popular fan brush. Gasp. I know that’s blasphemy to the MUAs. I go back and forth between drugstore buys and others that are more pricey. My everyday favorite: L’Oréal Voluminous Million Lashes. I’ve used Benefit’s They’re Real, Diorshow, and I’m dying to use YSL longing per the recommendation of a beauty blogger (Hey Megan!). MAC & NYX are the 2 brands I fluctuate between most often. 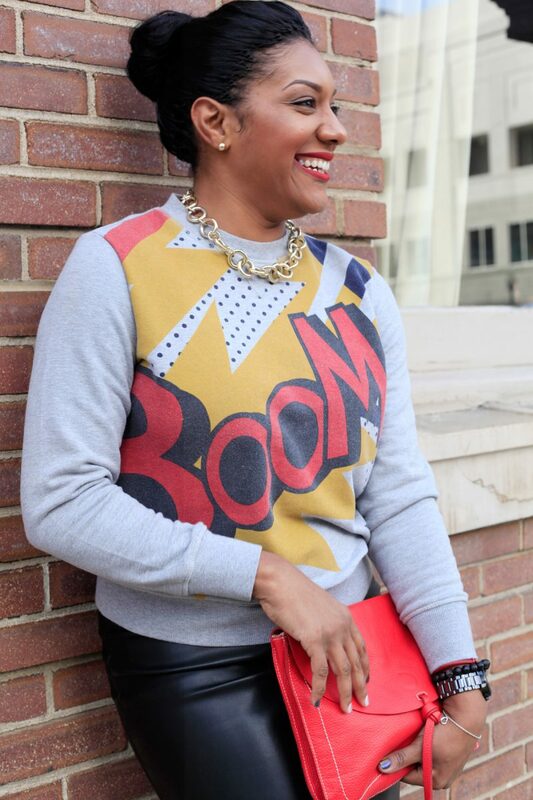 My favorite combo is Ruby Woo with a Nightmoth lip pencil. Lately, I’ve been obsessed with liquid lipsticks and the brand Coloured Raine is becoming a favorite. That’s all (in my Miranda Priestley voice). Everyday makeup that doesn’t take forever! It can happen! According to Q, makeup is meant to enhance! You can paint your face and still look naturally radiant. Practice makes perfect though. Need a little help in the Memphis area? Check out my fave MUA, Makeup by Zii, for info on classes and/or one on one instruction. Not in Memphis, find a local MUA to give you tips or go to your favorite makeup counter to see when they offer classes. Cheers to fab faces and natural beauty!